Types of Wallpaper, Why Wallpaper & Everything Else in Between! » » The Urban Guide » Interiors » Types of Wallpapers, Why Wallpaper & Everything Else in Between! Here’s everything you wanted to know about wallpapers — from the types of wallpaper available in India, to the top tips and tricks to use them well. Did you know that the Chinese invented paper, and that they glued rice paper on their walls, as early as 200 BC? Don’t worry, that’s not the kind of information we’re sharing with you in this post! Why is everyone using wallpapers? What are the types of wallpapers available? Is it possible to wallpaper over painted walls and vice-versa? How does one remove wallpapers? So, here’s your wallpaper gyaan! Ease of application: Unlike paints, wallpapers can be applied in record time without creating dust or any cleaning hassles post-application. 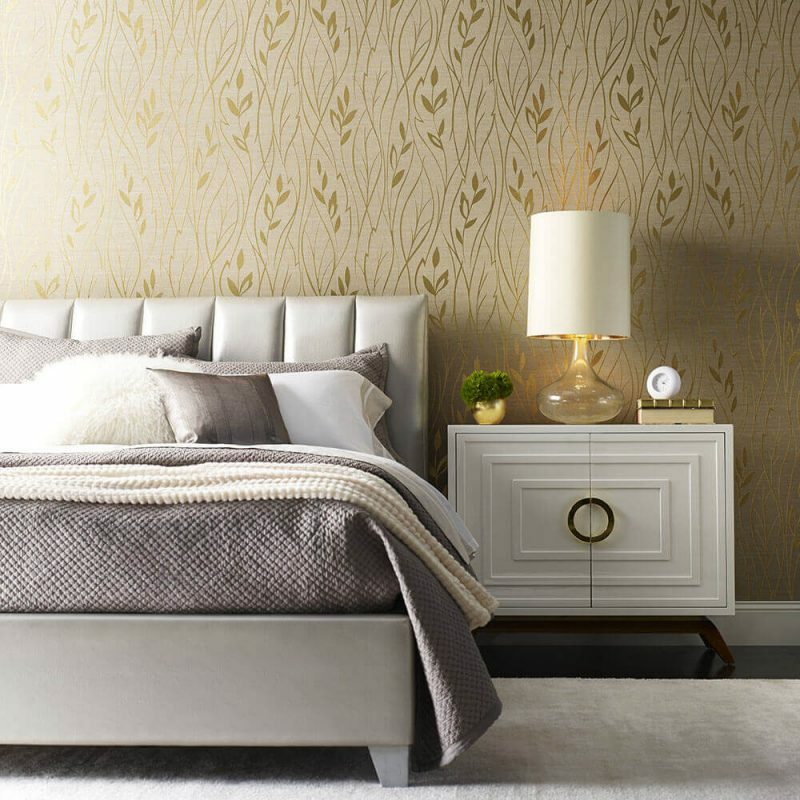 Variety of designs: From nature-inspired themes to contemporary geometric prints, wallpapers come in various designs that can give a unique character to your room. Customised prints: If you are looking for a personalised ambience, you can even customise wallpapers in prints or designs based on your ideas and inspirations. Instant makeover: By covering even a portion of a wall with an elegant wallpaper, you can instantly elevate the room’s vibe. But what are the types of wallpaper available to me? Paper: In this type, a decorative design is printed over a paper base. The sheet may or may not have a top coating to seal the design. It’s cheaper in comparison. Paper-backed vinyl: The base paper has liquid vinyl coated over it on which the design is printed. It is often wipeable, resists moisture and is cheaper. 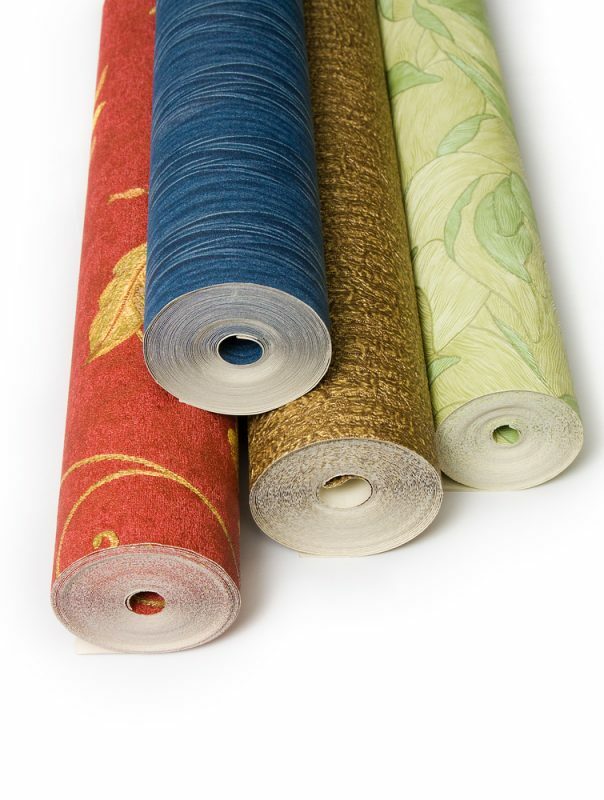 Non-woven: This type is composed of natural or synthetic fibers that give the final design a sophisticated appearance. These are easy to apply as well as to remove, but are expensive in comparison. Solid vinyl: In this type, a solid sheet of vinyl is applied over a paper or fabric, and the design is printed over the vinyl sheet. This makes the wallpaper more durable and washable. PVC or coated vinyl: One of the affordable options, this kind of wallpaper is moisture-resistant because it’s essentially a layer of acrylic sprayed or coated over a paper base. However, the design won’t have a refined appeal to it. Fabric: Either it will be a fabric-based wallpaper with the design printed over it or fabric-backed that has a vinyl layer with the design on it. If you are looking for an aesthetically superior as well as durable solution, non-woven is a good choice. Also, most of the cheaper options of wallpaper you find online are often PVC wallpapers. It is always cheaper to paint the house. 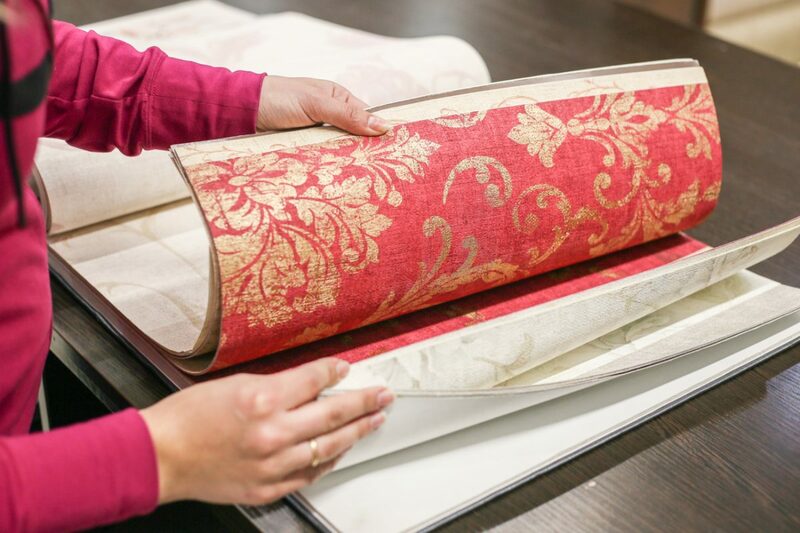 However, people often use wallpapers as accents or highlights in a room, which can make them budget-friendly, depending on the application and design chosen. Can I apply wallpaper over painted walls? If the painted surface is even, free of leakage and dents, then it is absolutely possible to apply a wallpaper over it. However, it is best to coat the wall with primer first. 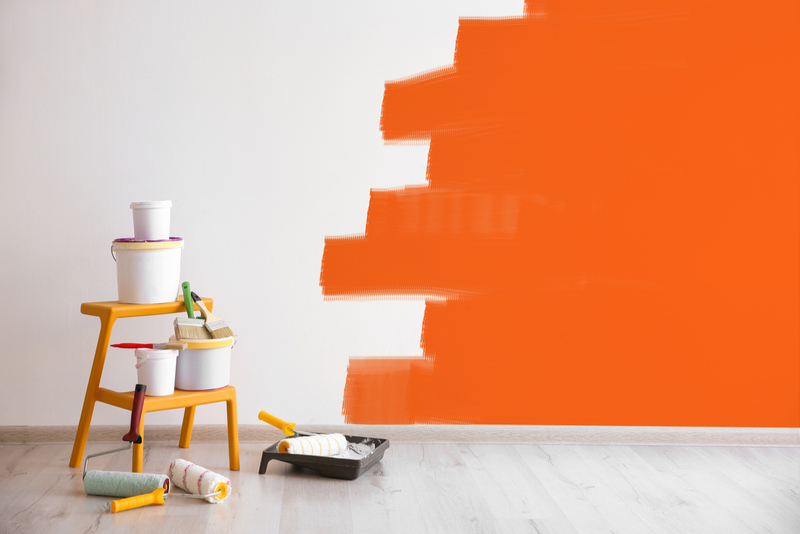 For more details, read: Can You Paint Over Wallpaper? Or Apply Wallpaper Over Paint? How do I remove wallpapers? Strippable wallpapers are the easiest to remove. You will need a putty knife to gently peel the paper from the edges, and a gentle pull will release the paper from the wall. For most other wallpapers, a water-based solution with or without chemicals is sprayed over a portion of the wallpaper. 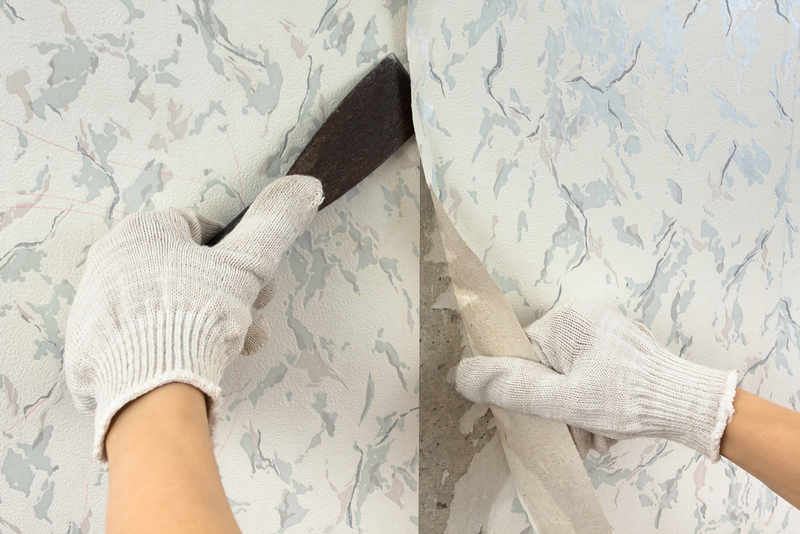 Once the solution has been absorbed, a putty knife is used to gently scrape the paper off the wall. It is a delicate process and you (or the person concerned) should take care not to damage the plaster on the wall. Ideally, the paint crew or the labour for the new wallpaper will take care of this for you at an additional cost. 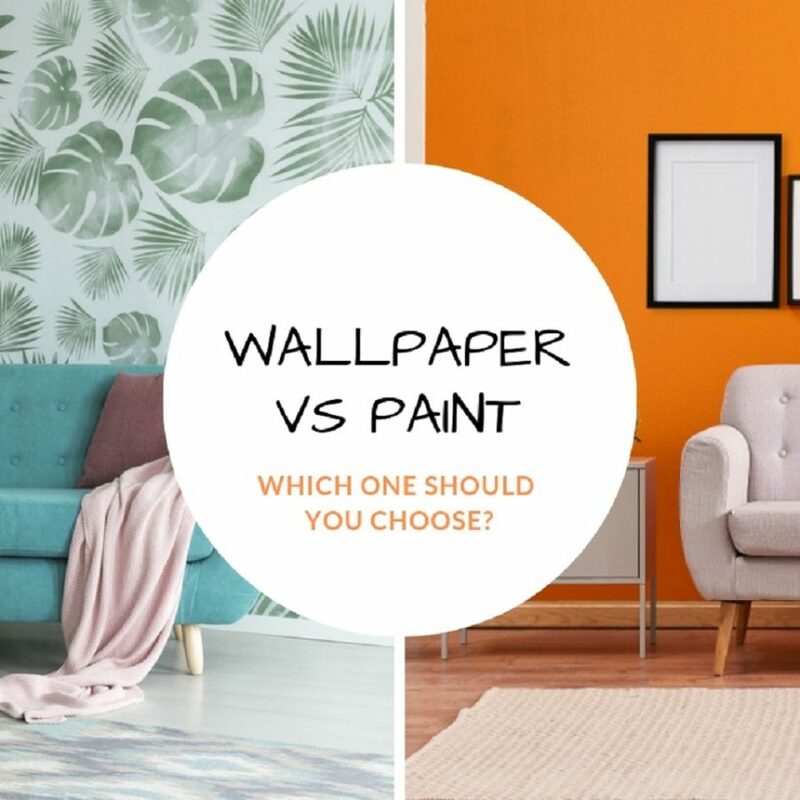 Wallpaper vs paint — which one should I pick? When deliberating on wall treatments, the nature of the space, your budget, and the conditions of the wall are factors that you need to take into account. 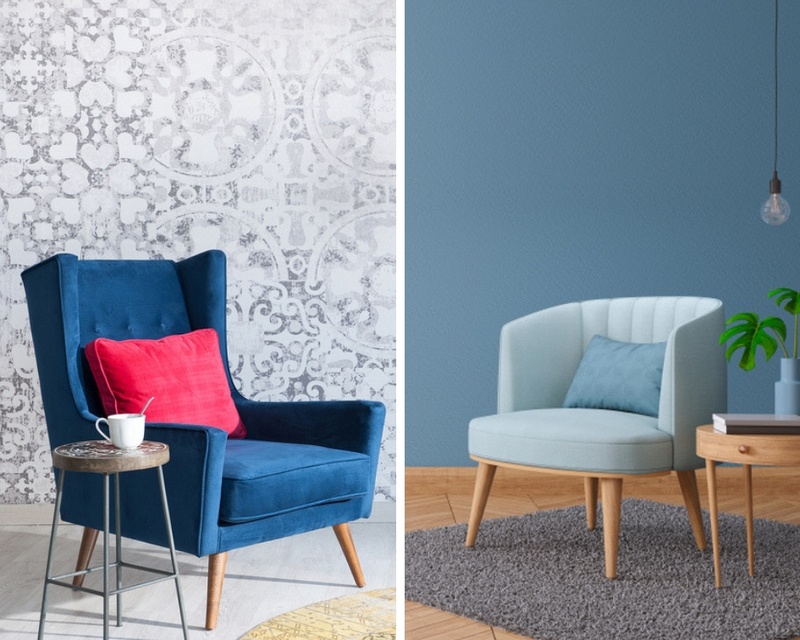 While one is not better than the other, paints have been a go-to solution in the Indian market, with wallpapers being used only as accents or used extensively in commercial or retail projects (often because these spaces are on lease or demand regular design upgrades). 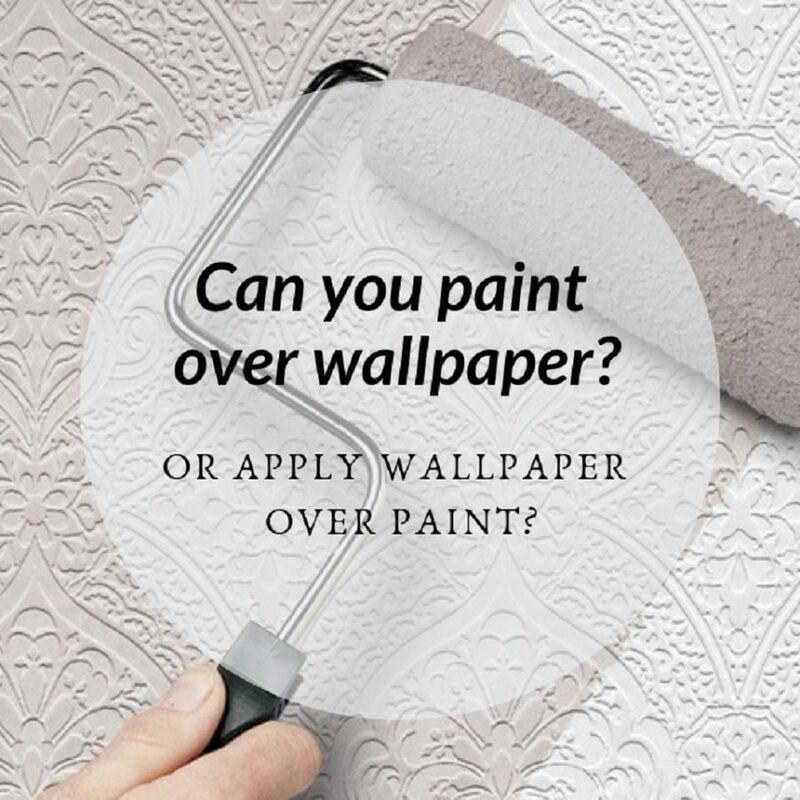 For more information, read: Wallpaper vs Paint: Which One Should You Choose? Wallpapers fade when exposed to direct sunlight. Therefore, avoid wallpapers on walls that face the sun. Moisture-prone walls (like those in the kitchen, bathroom or outside the house) are not ideal for wallpapers. Wallpapers are not only for walls. Use it to clad ceilings or even furniture pieces for an impressive detail in the house. Working on a tight budget? Use good quality wallpaper to highlight only a column or a niche in the wall. Mix things up. Combine bold painted walls with neutral shade, fine print wallpapers for a different type of contrast. 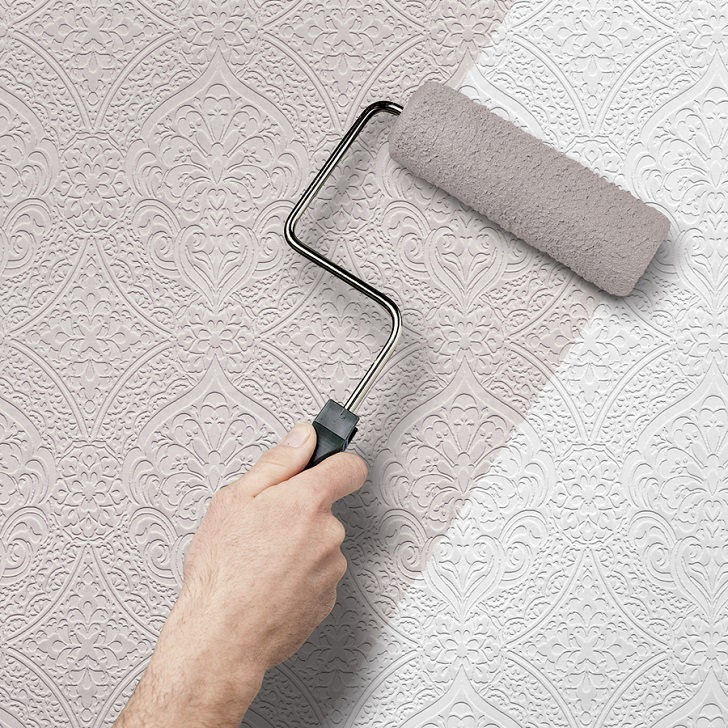 Wallpaper Vs Paint: Which One Should You Choose? Painting Over Wallpaper & Vice-Versa: Is It Possible? 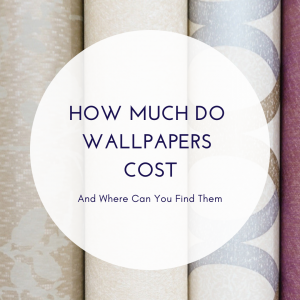 Wallpaper Prices in India & Where Can You Find Them? By the end of reading these, you will definitely be a homegrown expert on wallpapers, knowing exactly what kind you want and how to get it! Can You Paint Over Wallpaper? Or Apply Wallpaper Over Paint? 1Types of Wallpapers, Why Wallpaper & Everything Else in Between! 2 How to Decorate Your Small House (Part 2): The Smart Way!